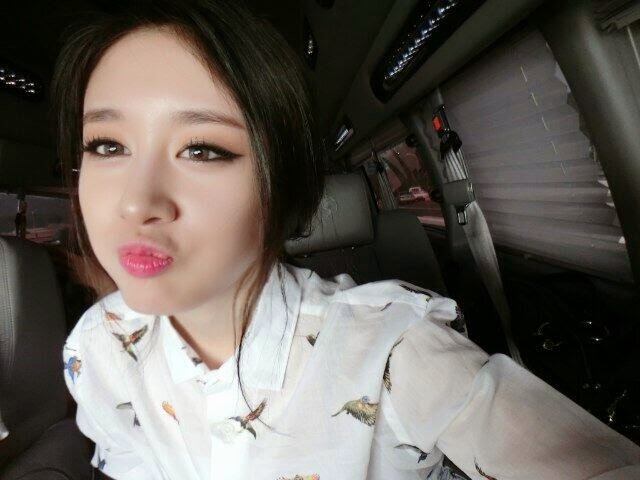 Jiyeon continues to show her support for her beloved unnie! On June 13th prior to her Music Bank performance, Jiyeon had an interview with the reporters and there she revealed her thoughts about Hyomin's upcoming solo release [Nice Body]. Jiyeon shared, "I listened to Hyomin’s song and watched her video choreography at the same time. As soon as I saw it, I realized it was the exact opposite style of mine. You can really see it in the teaser when it comes out (laughs). But the song and dance are really good and there’s a lot of aspects to it that will make the performances fun". She continued with "The boss decided the songs and styles for each of us. For me, a Double Sidekick song, and a Brave Brothers song for Hyomin. We didn’t change anything from the original plan." She also said, "Actually, Hyomin’s song is better than my song. My song has a dreamy and calm atmosphere, while Hyomin's song is a song that makes a fun atmosphere", and "Hyomin looks really good in her rehearsals right now. Her stage costumes, hair, and make-up is all very nice. Her song will be released after I finish my promotions". Jiyeon's solo promotions will end next week, and with that she stated, "Even though my solo promotions are already coming to an end next week, I was [really happy] to receive a lot of support and interest [from the public]. I’m happy because I’m able to finish my promotions in a good light". She continued "Because this is my first time [doing solo promotions], I’m going to give myself 50 points out of 100. In the event that I’m given another chance to do solo activities, I would like to be able to fill the remaining 50 points, [to deliver a perfect performance]". During the interview Jiyeon looked back and shared, "At first, it's hard not to worry about [going solo]. As someone who normally performs in a group, doing activities alone like this can sometimes make you lonely. But then, being inside the waiting rooms and being able to promote solo along with my other unnis (Jeon Hyosung, etc.) helped me get to know them better and become closer with them. Hanging out in the waiting rooms with them was a lot of fun". As a bonus, Jiyeon also revealed that T-ara is working on their comeback. She said, "We're currently learning Chinese during our downtime, since we are preparing to promote [there as well], we want to equip ourselves with the basics so we can learn more about China. We're also learning how to ride skateboards (?) for exercise."